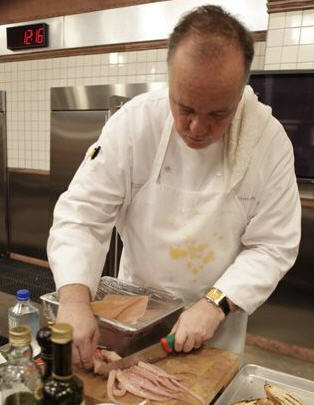 Top Chef Masters featured giant squid as an ingredient a short while ago, and even the most seasoned chefs were baffled by its gross appearance. Yet all I could think about while watching the episode: It’s delicious! I’ve been eating squid since I was a kid. What is there to be scared of? There is something in texture and taste with squid that its other leggy friends (octopus, cuttlefish, etc.) cannot compare. It does tend to be a bit fishier, I must say. To tame it, I let my julienned squid sit in 1/2 cup of Chinese rice wine. 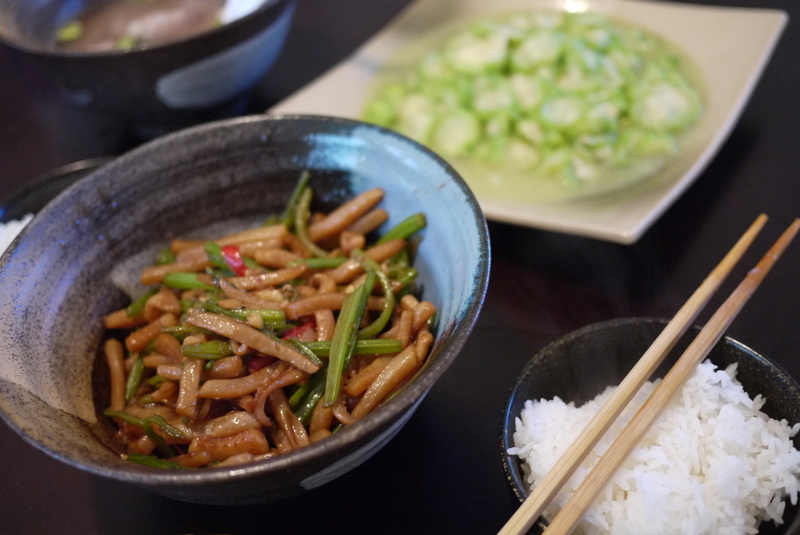 To accompany its oceanic savoriness, Chinese celery is used. 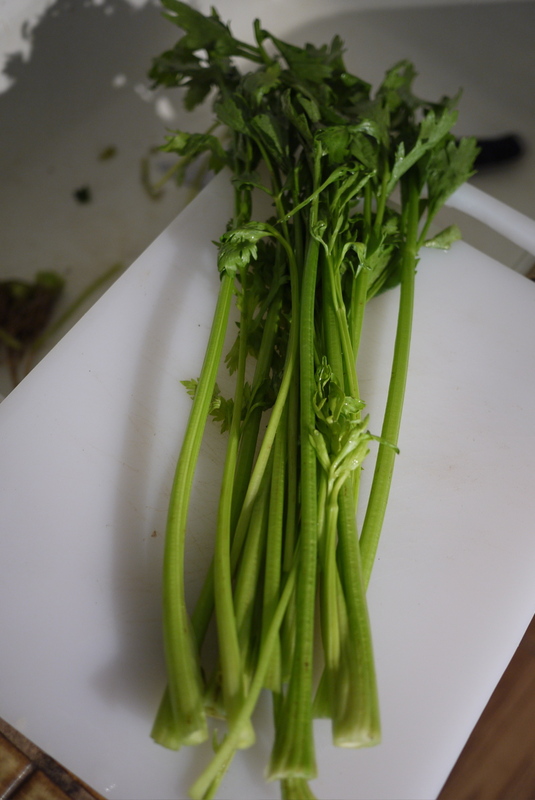 Chinese celery has a stronger celeriac taste than the American celery, and is much more “petite” in size. It works well with the squid as it adds a crunchiness to each bite. The key is to cut the vegetable in similar size as the squid. Throw garlic, ginger, and pepper into the hot oil for the aroma to come out. Once the garlic is starting to brown, dump in the squid. It will take some time to cook it, depending on your stove. After about 8 minutes of constant stirring (or when most liquid is dried up in the pan), drop in the celery. 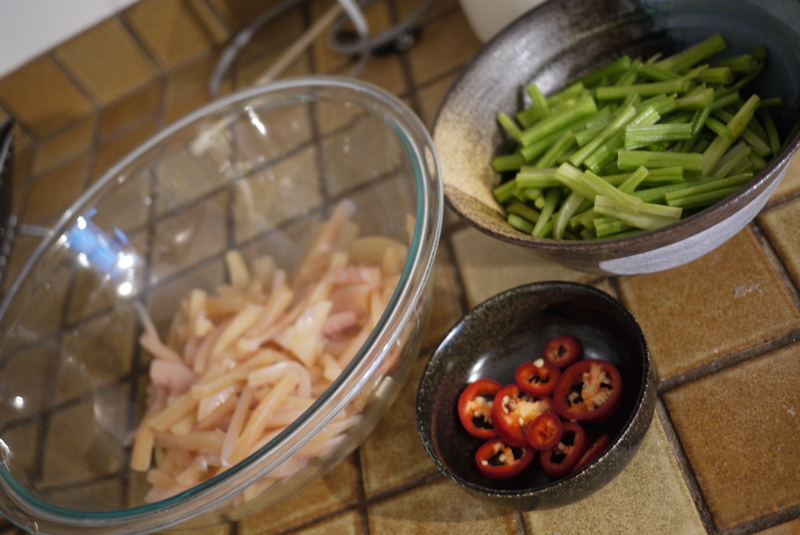 Stir-fry until the squid curls up. Season with 2 tablespoons of soy sauce and 1 tablespoon of sesame oil. Wontons are definitely one of the most common foods in Chinese cuisine, and they vary from region to region, mostly popular in the south, as the north is better known for dumplings and buns. The name for wonton also differs from one province to another. They are usually considered “snack food” in the afternoon or late night. As I recall from childhood, they were often served in between ma jong games at my grandparents’. And since my paternal grandma (nai-nai) was a native of Sichuan, the Sichuan style wontons are the ones I am most familiar with. 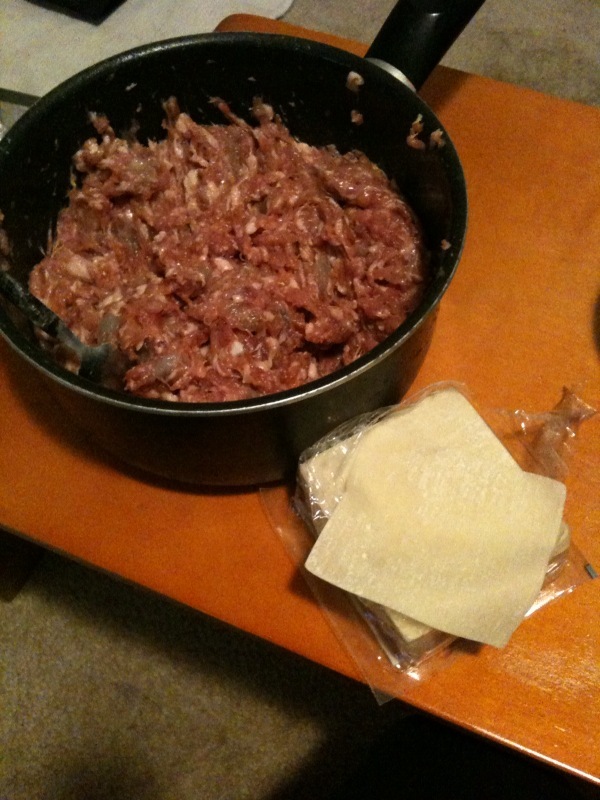 What goes into the wontons are 2 lbs of ground pork, 1/2 lb of shrimp, chopped, with rice wine, sesme oil, white pepper, and salt. Wrappers are store bought. 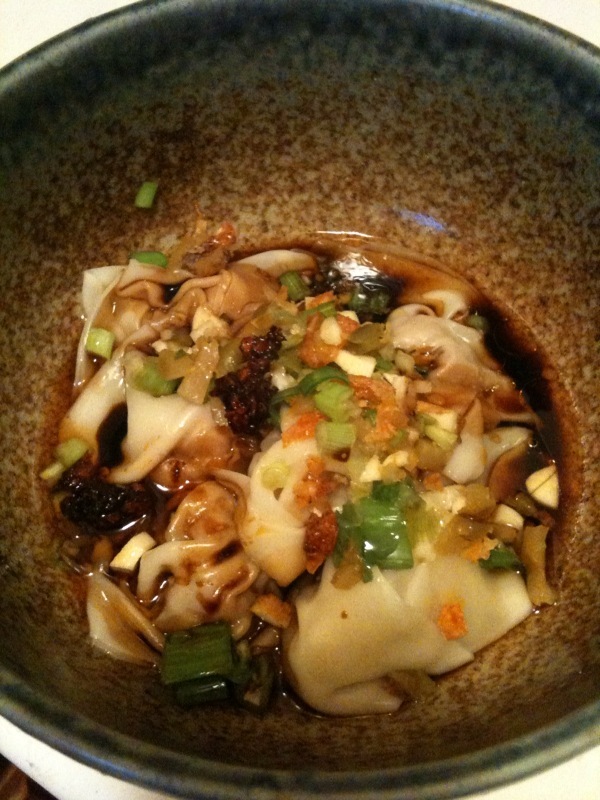 These “hot oil wontons” (as its literal translation denotes) are eaten dry, with a mixture of aromatic toppings (sans soup), which is different from the Canton and Shanghai styles, often served in a broth. 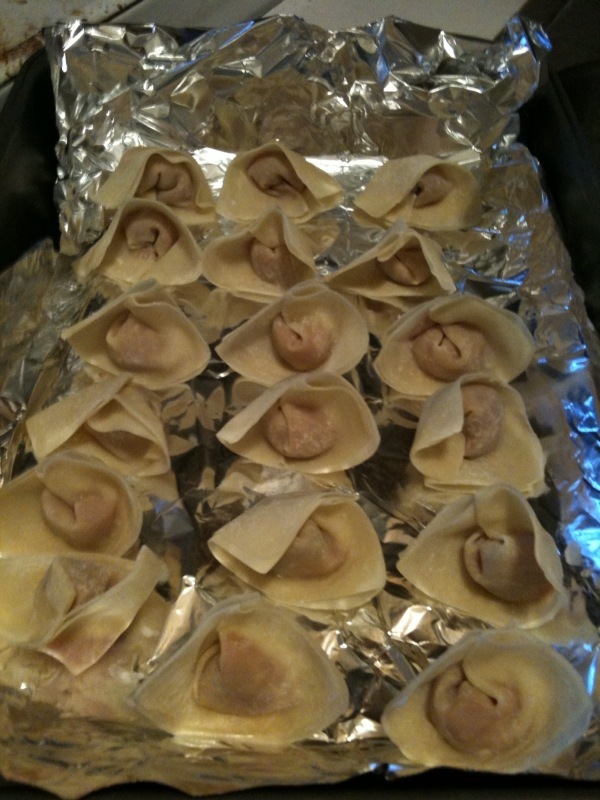 Add wontons to a pot of boiling water. When it is boiling again, add a cup of cold water to it. When that comes to a boil, you’re done. Remember: It is the same to cook fresh versus frozen wontons (as it will just take frozen wontons a bit longer to come to a boil), and there is NO need to defrost fozen wontons. 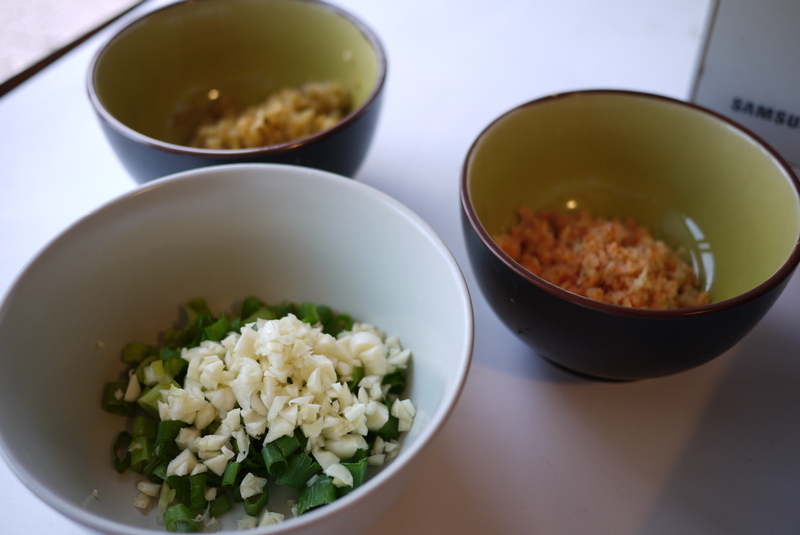 Mix the finely chopped scallion, garlic, dried shrimp, zha cai (preserved vegetable) with soy sauce, hot oil, and sesame oil atop the wontons.